Next Post The Vintage Closet: Warm woolies. And mink. Anna, I’d sure like the simplicity 7212! I’d love the project runway pattern or the peasant blouse one. I would love the coat pattern.happy new year to you. Simplicity 2127: I’ve always wanted a good peasant blouse! 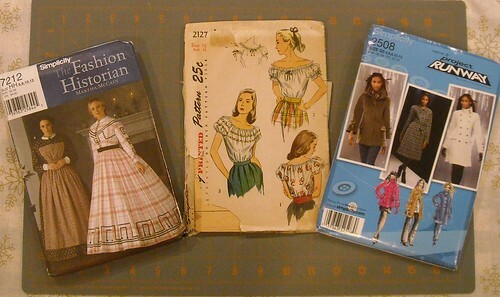 I would LOVE either the simplicity blouse pattern or the 19thcentury dress patterns! Thanks so much for the giveaway!